Are your kids just learning to write, or do they need help in holding a pencil/pen? 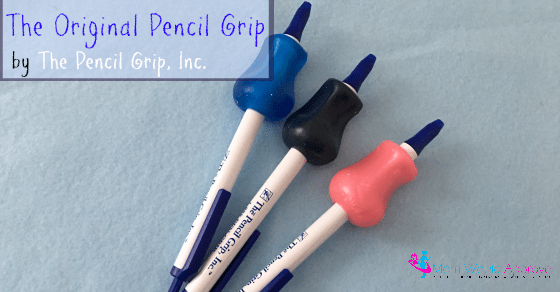 Let me introduce you to The Pencil Grip, Inc. and their 3 different types of pencil grips. I was kind of hesitant to try these because I am left-handed and most things aren’t made for lefties. But I decided to give them and a try and learned that they make them for both handed people, yay! 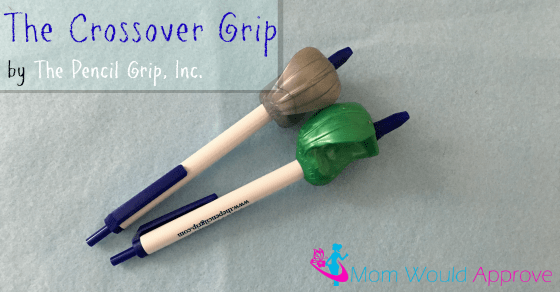 The Crossover Grip is to prevent the fingers from crossing over the pencil like some usually do, I know mine have a habit of doing that! This is the 1st step in the 3-step process. This is used by people just learning to write or who just a hard time of holding the pencil right. I know I have a hard time holding them right without this step. My fingers want to crossover and then I usually end up with blisters from using the pencil like that for too long. The indents are more pronounced on this one than the next step has. 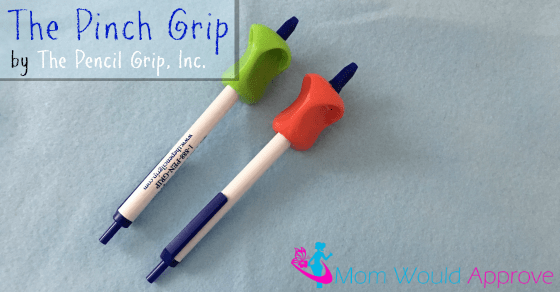 The Pinch Grip is the 2nd step in the 3-step process. This being the 2nd step is used after they learn to not cross their fingers, and now they learn to just pinch the pencil. These include indents so their fingers just rest inside the indents so they don’t want to go anywhere else. It does feel different when you go from the 1st step to the 2nd. These are the original grips, the last step in the 3-step process. This is used when the other steps have been accomplished. When they have learned to not cross their fingers, learned to just pinch the pencil, and now they are ready to hold the pencil right. I look at this step as being more for comfort, since they’ve already been using the grips, it would be really weird to just take it away. I have a 3 year old budding artist who could benefit from these. Thanks for the giveaway! You’re welcome, good luck, and thank you for visiting Melissa! Thank you for visiting, Sue, and Good luck!